To Cite: Mahmoodpoor A, Farzan N, Shadvar K, Entezari-Maleki T, Hamishehkar H. Procalcitonin May Not Discriminate Between Sepsis and Non-Infective Systemic Inflammatory Response Syndrome (SIRS) in Heterogonous Critically Ill Patients, Arch Clin Infect Dis. 2018 ; 13(1):e55618. doi: 10.5812/archcid.55618. Background: In recent decades Procalcitonin (PCT) has been introduced to help physicians differentiate sepsis from SIRS. Its routine use in such specific settings as ICU, on the other hand, is very polemical owing to the variable results. Objectives: In this prospective observational study, we examined the accuracy of PCT levels in differentiating septic from SIRS in critically ill patients admitted to the general ICUs of two hospitals in Tabriz, Iran from September 2014 to May 2016. Further appraised was the effect of illness severity and organ failure on PCT value. We tried to answer this question that why there is controversial and wide range of findings pertaining to PCT in critical care settings. Methods: One hundred and thirty two SIRS (Systemic Inflammatory Response Syndrome) positive critically ill patients admitted to the ICU were enrolled in the present research. Patients were divided based on their positive cultures into infectious and SIRS positive groups, in both of which, PCT was measured, severity of illness and organ failure were recorded, and the PCT sensitivity and specificity for the detection of sepsis and its relationship with disease severity and mortality were evaluated. Results: The optimal cut-off point for the PCT, determined 0.25μg/L with a sensitivity and specificity of 73 % and 39 %, respectively. PCT level was not able to significantly diagnose septic patients from SIRS positive ones and was significantly correlated with Cr and BUN concentrations. Conclusions: These findings indicate that PCT may not differentiate between sepsis and SIRS in a heterogeneous population of critically ill patients admitted to the ICU; PCT measurements, nonetheless, can probably conduce to predicting the outcome of patients. Sepsis poses one of the most challenging conditions in the intensive care units (ICU). The high mortality rate of patients with sepsis is due to the complications it causes, hence the fact that an early diagnosis could save a myriad lives (1). Sepsis is the inflammation throughout the body caused by the systemic response to infection. Its signs and symptoms mostly overlap with other non-infectious diseases, triggering systemic inflammatory response syndromes (SIRS) such as traumas, burns, injuries and extensive surgeries. The clinical similarities between sepsis and SIRS renders it difficult to distinguish sepsis from non-infectious illnesses (2). Unfortunately, most clinical diagnostic tests do not provide sufficient data for physicians to make an appropriate decision for treatment. The best and most common way of diagnosing sepsis is via microbiological cultures, yet the process may take more than 24 hours (3). Moreover, inflammatory markers, like white blood cells (WBC) and C-reactive protein (CRP), have low specificity to differentiate between microbial infections and SIRS (4). Other such tests as lung biopsy are not common due to the invasive techniques involved. In recent decades, several biomarkers have been put forth to aid physicians in differentiating sepsis from SIRS. The most prevalent of which is PCT, a 116 amino acid peptide and a precursor of the Calcitonin synthesized in the C-cells of thyroid. In critical conditions like tissue injury, infection and sepsis, the plasma levels of PCT increase. Therefore, its systemic secretion is considered as a part of the systemic inflammatory response (5, 6). PCT respond to endotoxins and mediators released as a reaction to bacterial infections. It is claimed that there is a high correlation between the extent and severity of the infection and the concentration of plasma PCT (7). The plasma concentration of PCT immediately increases in 6 to 12 hours following contamination. After antibiotic therapy, its concentration decreases and in recovered patients the plasma levels of PCT are undetectable (8). This amino acid has been studied as a marker to differentiate sepsis from other non-infectious causes of SIRS. Early studies recommended PCT as a useful marker (9, 10); however, certain others purport that high PCT levels are not trustable enough (4, 11, 12). Furthermore, a host of studies have included patients without SIRS status or critical illness which has compounded the reliability in assessing the diagnostic accuracy of PCT in critical care settings. In this study, we examined the accuracy of PCT levels in differentiating septic from SIRS critically ill patients admitted to the general ICUs of two hospitals. Furthermore, we evaluated the effect of illness severity and organ failure on PCT values. The controversy and the wide range of findings associated with PCT in critical care settings were the issues that were dealt with. In the present prospective descriptive study we investigated the accuracy of PCT level test in the diagnosis of septic and SIRS patients in two ICUs of two university-affiliated governmental referral hospitals in Tabriz, Iran, from September 2014 to May 2016. Patient enrollment was based on the presence of at least two of the following criteria: body temperature (> 38°C or < 36°C), tachycardia > 90 beats/min, respiratory rate > 20 breaths/min or Paco2 < 32 torr, white blood cell count > 12,000 cells/µL or < 4,000 cells/µL, or > 10% immature (band) forms. Septic and SIRS were the two groups where the criteria for enrollment in the septic group was the presence of at least one positive culture (blood, urine, tracheal aspirates, wound and CSF fluid) in addition to SIRS symptoms. Those with no positive cultures even with a high probability of being infectious and SIRS patients with a probability of infection were excluded from the study. According to drug and treatment committee protocol, PCT test, for sepsis evaluation, is accepted as a routine and standard practice in our hospital. The consent form was, therefore, obtained only from non-septic SIRS positive patients or their relatives. Ethics approval was obtained from Tabriz University of Medical Sciences. This study was approved by the Clinical Research Ethics Committee of Tabriz University of Medical Sciences, Iran (IRB # 91170). In the first day of admission, within 24 hours, a standardized reporting form was filled for each patient; this form included the demographic characteristics of patients such as age, gender and reasons for admission. Information pertaining to the underlying disease and organ failures of patients were also recorded. The severity of illness and organ dysfunction were respectively calculated by the Acute Physiology and Chronic Health (APACHE II) score and Sequential Organ Failure assessment (SOFA) score. For sepsis workup, and to confirm the presence of infection, the following tests were done on patients routinely prior to the initiation of antibiotic therapy: Plasma PCT level, erythrocyte sedimentation rate (ESR), blood cultures from the two different sites of the body, deep tracheal secretions (Mini BAL), Bronchoalveolar lavage (BAL), urine and wound secretion sampling and chest X-ray scan to corroborate pneumonia. After obtaining the results, the patients were divided into the aforementioned classes. PCT was measured by an Electro Chemiluminescence Immunoassay (ECLIA) method (Liaison Brahms PCT, DiaSorin S.p.A., Saluggia, Italy) in clinical laboratory of hospitals. Statistical analysis was conducted through the use of SPSS statistical software. Kolmogorov-Smirnov test demonstrated that all parametric data were distributed normally in each group. All values are expressed as the mean ± standard deviation (SD). So as to compare the continuous (quantitative) variables obtained from the two groups of patients, student t-test, and to compare the discrete data (qualitative), χ2 tests were used. To specify the sensitivity and specificity of PCT level test, Receiver Operating Characteristics (ROC) curve was employed. In order to find the cut-off point to distinguish between patients suffering from SIRS and sepsis, Youden Index (Y.I) was calculated based on the Y. I = Sensitivity + Specificity -1 formula. Logistic regression analysis was used to assess the mortality rate associated with the plasma PCT level, where P < 0.05 was considered as significant. Of the 132 critically ill patients involved in this study 93 were septic and 39 merely had SIRS symptoms. The main patient characteristics on the first day of admission are demonstrated in Table 1. The main reasons for SIRS sans infection were extensive surgeries, multi traumas, cerebrovascular accidents, emboli and acute myocardial infarction. Patients suffering from sepsis had at least one positive culture and all SIRS signs and symptoms. According to Table 1, mean APACHE II scores of both groups are approximately 20. Moreover, the SOFA score is not significantly different between the two groups. and the data extracted from APACHE II and SOFA scores indicate that the severity of illness in both groups is nearly similar. Table 2 illustrates the PCT, physiologic and microbiological data of nonseptic (just SIRS positive) versus septic patients where the PCT value is higher in the septic group, yet not statistically significant. Among SIRS positive patients, 9 out of 39 (23.1%) and among the septic patients 40 out of 93 (43%) passed away. The mortality rate was significantly higher in the septic patients (P = 0. 023). The correlation between PCT level and the following factors was further assessed: Age, disease severity, organ failure, fever, heart rate, respiratory rate, systolic and diastolic blood pressure, pulmonary function assessment index (PO2/FiO2), blood glucose, ESR, total leukocyte and neutrophil counts, serum Creatinine (Cr), blood urea nitrogen (BUN), lactic acid, and the amount of sodium and potassium ions. Among these factors, PCT levels highly correlated only with Cr and BUN concentrations. Furthermore, we observed a weak correlation between fluid balance and PCT level (Table 3). To investigate the optimal cut-off point for the plasma PCT levels and to identify infectious from non-infectious SIRS patients with critically ill status, Receiver Operating Characteristic (ROC) analysis was employed (Figure 1). Although the PCT concentrations were higher in the septic (5.8 ± 18.1µg/L) than in the SIRS patients (2.7 ± 4.4µg/L), such difference was not statistically significant (P = 0.1). According to the ROC analysis, Area Under the Curve (AUC) was 0.54 (Figure 1). A cut-off value of 0.25µg/L had 73% sensitivity and 39% specificity to separate patients with and without sepsis. Positive predictive value and negative predictive value were 73.9% and 37.5%, respectively (Table 4). This figure shows that the PCT is not appropriate for the detection of sepsis in critically ill patients. Abbreviations: BUN, Blood Urea Nitrogen; ESR, Erythrocyte Sedimentation Ratio; PCT, Procalcitonin; Respiratory Index, PO2/FiO2; SOFA, Sequential Organ Failure Assessment. Abbreviations: APACHE, Acute Physiology And Chronic Health Evaluation; SOFA, Sequential Organ Failure Assessment; Cr, Creatinin; BUN, Blood Urea Nitrogen. Abbreviations: AUC, Area Under the Curve; Sen, Sensitivity; Spc, Specificity; PPV, Positive Predictive Value; NPV, Negative Predictive Value; LR +, Positive Likelihood Ratio; LR −, Negative Likelihood Ratio. The optimal cut-off point (0.25µg/L) was selected to find the effect of plasma PCT levels on the mortality rate via logistic regression analysis. In unadjusted logistic regression model, the test revealed that mortality rate in patients with plasma PCT levels higher than 0.25µg/L was 8 times greater than patients with lower PCT levels (P = 0. 001) (95% CI: 2.2 - 28.6). In adjusted model, together with the plasma PCT cut-off levels, age, severity (APACHE II), organ failure scores (SOFA) and, septic or non-septic conditions were added to the model so as to assess the mortality rate. The results indicated that the mortality rate of patients with PCT levels higher than 0.25µg/L was 5 times higher than those with PCT levels less than 0.25µg/L (P = 0.19) (95% CI: 1.3 - 19.1). In the present study, the diagnostic value of PCT was studied in order to identify infection in critically ill patients. Our data showed that plasma PCT concentrations were not significantly higher in the septic compared with the SIRS patients. Moreover, the low sensitivity and specificity of this biomarker rendered it inefficient in the early diagnosis of infection among septic and non-septic critically ill patients. This research was carried out on the heterogeneous population of patients admitted to the ICU and found out that the cut-off point of PCT 0.25µg/L with the sensitivity and specificity of 73.1% and 37.5%, respectively was sufficient to differentiate sepsis from SIRS. Similar analyses, with conflicting results, have been reported concerning PCT cut-off points in a wide range of 0.1 - 15.75µg/L by other researchers (13, 14). Previously, the cut-off point of 0.8µg/L with 67% sensitivity and 48% specificity was reported by Ruokonen et al in a study on 208 patients (4) and 2 µg/L with 65% sensitivity and 74% specificity by Suprin et al in a study on 24 patients (12). In line with our findings, in these two studies researchers concluded that PCT may not be a suitable biomarker for distinguishing between sepsis and SIRS in a heterogeneous group of critically ill patients. Contrary to the present findings, several studies have introduced PCT as a reliable biomarker to distinguish infection from SIRS (11, 15). It should be noted that this amino acid has been proven to be highly sensitive and specific as far as diagnosing infected from non-infected patients, in a population of patients with specific conditions, such as pancreatitis, meningitis and some autoimmune diseases (16). The controversial results in this field led us to hypothesize that the more the severity of the illness the higher the level of PCT may be on the contrary, the similarity of APACHE and SOFA scores in both groups which are the representative of severity of the illness and organ failure respectively, rules out the effect of critical illness as a confounding factor affecting the PCT level. As a consequence, we were able to more accurately appraise the PCT level as regards differentiating sepsis from SIRS in critically ill patients. In the studies reporting the high specificity and sensitivity of the PCT level, septic patients were more severely ill comparisons to the SIRS patients. Moreover, in certain studies the severity of the illness was not considered and reported, rendering dubitable the confounding effect of critical illness on the discriminating ability of PCT (11, 17, 18). Interestingly, Ugarte et al showed that PCT level of patients with septic shock was significantly higher than that of the septic and SIRS patients, whereas there was no significant difference in plasma PCT levels of sepsis regarding SIRS patients (19). On the other hand, Cheval et al demonstrated that the PCT levels were noticeably different among patients suffering from septic shock, and sepsis and SIRS patients (20). Despite the contradictory results of these two studies, they were in agreement with the present hypothesis that the severity of illness plays a significant part with regards to the plasma levels of PCT which may be independent from infection. In the present study, we evaluated the correlation between plasma PCT level and other organs and functions, including kidney, respiration, cardiovascular system, liver, central nervous system and coagulation which were respectively assessed by the Creatinine and BUN levels, PO2/FiO2, mean arterial pressure (MAP), Bilirubin, Glasgow coma scale (GCS) and platelet count. Our data showed that renal function is correlated with the PCT concentrations. Similar results have been reported in a study on postoperative cardiac patients by Amour and colleagues. In the mentioned study, the patients who had renal failure with Clcr < 50 mL/min, had higher plasma PCT levels in comparison with the patients with Clcr > 50 mL/min. The optimal cut-off values of 2.8 and 0.8 were suggested to identify the infected patients with and without renal failure, respectively (17). In another study by Meisner et al, 40 critically ill patients were admitted to the ICU over 16 days; it became clear that high SOFA scores were recognizably correlated with the increased plasma PCT levels; however they did not specify the details as to organ failure in patients (21), hence the fact that it was not clear which organ failure correlated with the increased PCT level. In agreement with our results, Karlsson etal found significant correlation between elevation of serum Cr and PCT levels in septic patients (22). It seems that in patients with renal impairment, PCT test has to be interpreted scrupulously. We found that patients with PCT concentrations higher than 0.25µg/L are more likely to die compared to patients with critical conditions, but PCT concentrations lower than 0.25µg/L. The predictive value of the PCT level was also reported by Schneider and colleagues in 220 critically ill surgical patients following surgery (23). In contrast, despite the significant difference between survivors and non-survivors concerning PCT levels in Du and colleagues study, the researchers’ results indicated that there was no correlation between mortality rate and plasma PCT levels (15). Due to the specificity of inclusion criteria, the sample size was low, thereby reducing the study strength. However, based on ROC analysis, AUC was determined as 0.54, hence it is highly probable that comparable results will also be achieved even with a large number of patients. This study indicated that PCT levels may not effectively discriminate septic from non-septic patients. Moreover, critically ill patients with decreased renal function have higher PCT levels and PCT measurement may be conducive to predicting the outcome of patients. We are grateful to Shahrokh Teshnehdel and ICU staffs of shohada hospital for their cooperation in this investigation. Authors’ Contributions: Ata Mahmoodpoor Participated in its design and coordination and helped to draft the manuscript, Niloofar Farzan Carried out the PCT assay and Collecting data, Kamran Shadvar Data gathering and helped to draft the manuscript, Taher Entezari-Maleki Literature review and editing manuscript, Hadi Hamishehkar Participated in the design of the study and performed the statistical analysis and helped to draft the manuscript. All authors read and approved the final manuscript. Conflict of Interests: The authors declare that they have no competing interests. The authors declare no conflict of interest. 1. Angus DC, Linde-Zwirble WT, Lidicker J, Clermont G, Carcillo J, Pinsky MR. Epidemiology of severe sepsis in the United States: analysis of incidence, outcome, and associated costs of care. Crit Care Med. 2001;29(7):1303-10. [PubMed: 11445675]. 2. Rangel-Frausto MS, Pittet D, Costigan M, Hwang T, Davis CS, Wenzel RP. The natural history of the systemic inflammatory response syndrome (SIRS). A prospective study. JAMA. 1995;273(2):117-23. [PubMed: 7799491]. 3. Lever A, Mackenzie I. Sepsis: definition, epidemiology, and diagnosis. BMJ. 2007;335(7625):879-83. doi: 10.1136/bmj.39346.495880.AE. [PubMed: 17962288]. 4. Ruokonen E, Ilkka L, Niskanen M, Takala J. Procalcitonin and neopterin as indicators of infection in critically ill patients. Acta Anaesthesiol Scand. 2002;46(4):398-404. [PubMed: 11952440]. 5. Schneider HG, Lam QT. Procalcitonin for the clinical laboratory: a review. Pathology. 2007;39(4):383-90. doi: 10.1080/00313020701444564. [PubMed: 17676478]. 6. Whicher J, Bienvenu J, Monneret G. Procalcitonin as an acute phase marker. Ann Clin Biochem. 2001;38(Pt 5):483-93. doi: 10.1177/000456320103800505. [PubMed: 11587126]. 7. Gogos CA, Drosou E, Bassaris HP, Skoutelis A. Pro- versus anti-inflammatory cytokine profile in patients with severe sepsis: a marker for prognosis and future therapeutic options. J Infect Dis. 2000;181(1):176-80. doi: 10.1086/315214. [PubMed: 10608764]. 8. Becker KL, Nylen ES, White JC, Muller B, Snider RJ. Clinical review 167: Procalcitonin and the calcitonin gene family of peptides in inflammation, infection, and sepsis: a journey from calcitonin back to its precursors. J Clin Endocrinol Metab. 2004;89(4):1512-25. doi: 10.1210/jc.2002-021444. [PubMed: 15070906]. 9. Brunkhorst FM, Wegscheider K, Forycki ZF, Brunkhorst R. Procalcitonin for early diagnosis and differentiation of SIRS, sepsis, severe sepsis, and septic shock. Intensive Care Med. 2000;26 Suppl 2:S148-52. doi: 10.1007/BF02900728. [PubMed: 18470710]. 10. Aouifi A, Piriou V, Bastien O, Blanc P, Bouvier H, Evans R, et al. Usefulness of procalcitonin for diagnosis of infection in cardiac surgical patients. Crit Care Med. 2000;28(9):3171-6. [PubMed: 11008977]. 11. Selberg O, Hecker H, Martin M, Klos A, Bautsch W, Kohl J. Discrimination of sepsis and systemic inflammatory response syndrome by determination of circulating plasma concentrations of procalcitonin, protein complement 3a, and interleukin-6. Crit Care Med. 2000;28(8):2793-8. [PubMed: 10966252]. 12. Suprin E, Camus C, Gacouin A, Le Tulzo Y, Lavoue S, Feuillu A, et al. Procalcitonin: a valuable indicator of infection in a medical ICU? Intensive Care Med. 2000;26(9):1232-8. [PubMed: 11089747]. 13. Bell K, Wattie M, Byth K, Silvestrini R, Clark P, Stachowski E, et al. Procalcitonin: a marker of bacteraemia in SIRS. Anaesth Intensive Care. 2003;31(6):629-36. [PubMed: 14719423]. 14. Tsalik EL, Jaggers LB, Glickman SW, Langley RJ, van Velkinburgh JC, Park LP, et al. Discriminative value of inflammatory biomarkers for suspected sepsis. J Emerg Med. 2012;43(1):97-106. doi: 10.1016/j.jemermed.2011.05.072. [PubMed: 22056545]. 15. Du B, Pan J, Chen D, Li Y. Serum procalcitonin and interleukin-6 levels may help to differentiate systemic inflammatory response of infectious and non-infectious origin. Chinnes Med J. 2003;116(4):538-42. 16. Tang BM, Eslick GD, Craig JC, McLean AS. Accuracy of procalcitonin for sepsis diagnosis in critically ill patients: systematic review and meta-analysis. Lancet Infect Diseas. 2007;7(3):210-7. 17. Amour J, Birenbaum A, Langeron O, Le Manach Y, Bertrand M, Coriat P, et al. 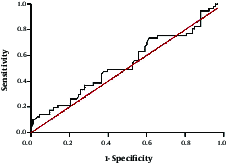 Influence of renal dysfunction on the accuracy of procalcitonin for the diagnosis of postoperative infection after vascular surgery. Crit Care Med. 2008;36(4):1147-54. doi: 10.1097/CCM.0b013e3181692966. [PubMed: 18379240]. 18. Harbarth S, Holeckova K, Froidevaux C, Pittet D, Ricou B, Grau GE, et al. Diagnostic value of procalcitonin, interleukin-6, and interleukin-8 in critically ill patients admitted with suspected sepsis. Am J Respir Crit Care Med. 2001;164(3):396-402. doi: 10.1164/ajrccm.164.3.2009052. [PubMed: 11500339]. 19. Ugarte H, Silva E, Mercan D, De Mendonca A, Vincent JL. Procalcitonin used as a marker of infection in the intensive care unit. Crit Care Med. 1999;27(3):498-504. [PubMed: 10199528]. 20. Cheval C, Timsit JF, Garrouste-Orgeas M, Assicot M, De Jonghe B, Misset B, et al. Procalcitonin (PCT) is useful in predicting the bacterial origin of an acute circulatory failure in critically ill patients. Intensive Care Med. 2000;26 Suppl 2:S153-8. doi: 10.1007/BF02900729. [PubMed: 18470711]. 21. Meisner M, Tschaikowsky K, Palmaers T, Schmidt J. Comparison of procalcitonin (PCT) and C-reactive protein (CRP) plasma concentrations at different SOFA scores during the course of sepsis and MODS. Crit Care. 1999;3(1):45-50. doi: 10.1186/cc306. [PubMed: 11056723]. 22. Karlsson S, Heikkinen M, Pettila V, Alila S, Vaisanen S, Pulkki K, et al. Predictive value of procalcitonin decrease in patients with severe sepsis: a prospective observational study. Crit Care. 2010;14(6):R205. doi: 10.1186/cc9327. [PubMed: 21078153]. 23. Schneider CP, Yilmaz Y, Kleespies A, Jauch KW, Hartl WH. Accuracy of procalcitonin for outcome prediction in unselected postoperative critically ill patients. Shock. 2009;31(6):568-73. doi: 10.1097/SHK.0b013e318193cb52. [PubMed: 19008783].